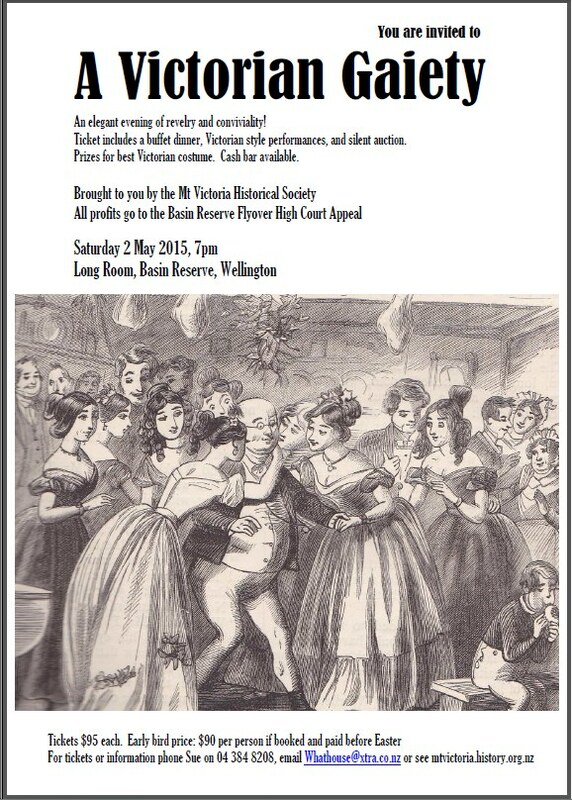 Mt Victoria Historical Society (MVHS), a party to the Board of Inquiry and the High Court Appeal, is organising a fabulous evening of food, entertainment and conviviality to raise funds for Save the Basin Campaign’s response to NZTA’s Appeal against the Board’s decision to decline resource consent for the Basin Reserve flyover. You are welcome to organise a group of 10 friends to make up a table. And if you’d like to come on your own, or can’t fill a table for 10, MVHS will make sure you’re seated with congenial company. MVHS will keep you posted with details such as highlights for the silent auction and entertainment.